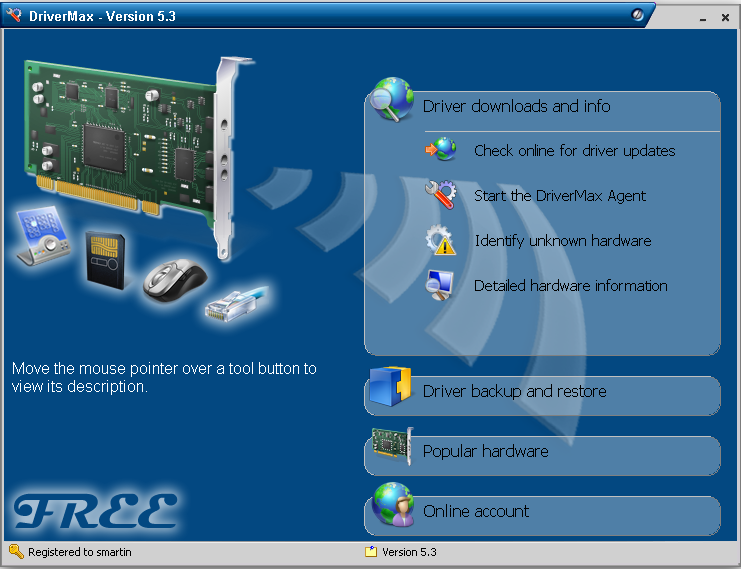 Drivers are applications that let the operating system know about internal or external hardware devices connected to a PC .They will act as mediator that manages the interrupts and associated code execution to notify the OS about the presence of a hardware .Display devices,scanner ,sound device ,graphics card , network cards ,hard disk ,USB internet modems etc. uses device specific drivers to communicate with Operating System .Usually drivers will be packed along with the system CD/mother board CD available with every computer purchased . But as time goes the system CD’s would get scratched and there are chances for the loss of important device drivers . Many features of the PC will be disabled if the driver CD is lost or the files are not available for another installation.As a solution we have driver scanning and backup softwares like Drivermax that scans a computer for hardware devices to specify the required drivers and a web links to download them. Device drivers should be updated regularly to maintain stability of the system and to avail new features .The special about Drivermax is that it can archive current driver files in a PC and backup them for future use . There is a wizard driven process that will collect all important driver files to a folder or zip file , that can be restored later using a similar process . These files can be saved securely on an online backup service and can be accessed anywhere at any time.Drivermax also provides an option to scan and generate the list of required or currently used drivers in a Windows machine onto a text file .Further you can download any outdated drivers from the web links that will be generated by the application . Update : Download Driver Genius Professional edition free with license key . The free version of DriverMax lets you to download 2 drivers per day .But you can take down the driver list and download them separately as per requirements .